Libya has been torn apart from violence and political instability, and its oil sector has been severely impacted as a result. But amid all the chaos, Italian oil giant Eni has managed to increase its oil production in the troubled North African country. Eni is now producing more than 300,000 barrels per day in Libya. That is the highest level of production for the company since before the civil war. Before the overthrow of former dictator Muammar Qaddafi, Eni was producing just 280,000 barrels per day. As a result, several oil fields in Libya’s east had to be shuttered. The Nafoura oilfield, for example, produced between 30,000 and 35,000 barrels per day before it was forced to shut down. A Libyan official said on May 9 that an oil tanker had docked at Zueitina and was loading oil from storage tanks, but that pipeline flows had still been offline. Libya’s oil production is likely down to about 380,000 to 400,000 barrels per day, sharply lower than the 1.6 million barrels the country produced before the civil war began. Related: Who Is The Biggest Player In Energy? 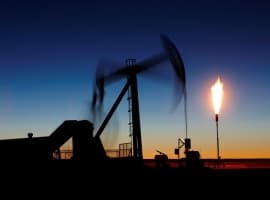 Moreover, the internationally-recognized government that is stationed in the east has had trouble finding willing buyers for its oil. Libyan crude has been deeply discounted, but still, tankers are wary of purchasing oil from a supplier that is unreliable and has an unclear political hold over the country. With a rival government setup in Tripoli, both sides are claiming the right to Libya’s oil. Nevertheless, the news that Eni is now producing above its pre-war level is a welcome sign. 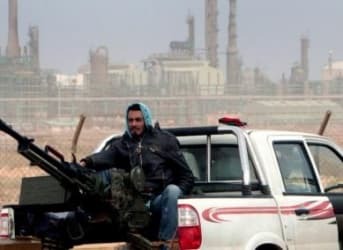 Libya depends overwhelmingly on oil export revenues, and getting its oil sector back on its feet is a prerequisite to rebuilding from years of war. Why Is Oklahoma Now The Earthquake Capital Of The U.S?